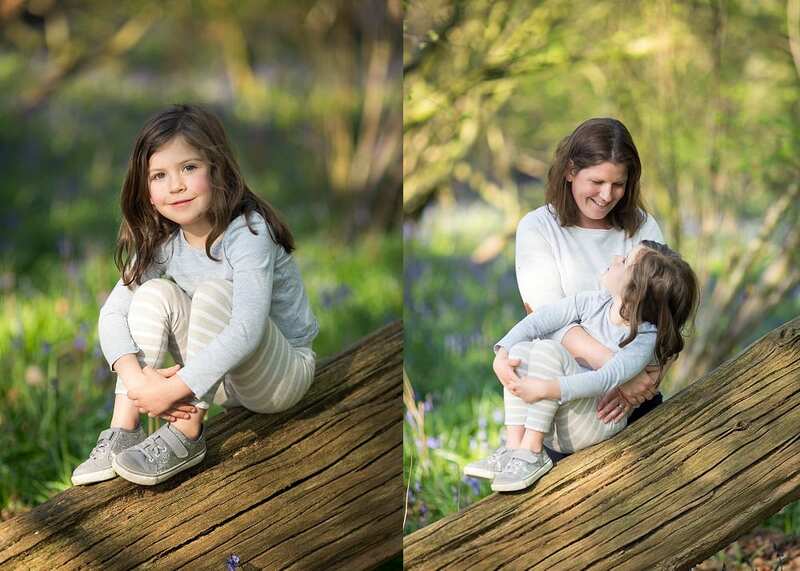 Last month I photographed a local family with 2 girls, after Dad bought a photo shoot as a gift for Mothers Day. The plan was to photograph at a local woodland towards the end of the day when the light was pretty. The light was indeed gorgeous,s but it ended up being very very cold, so we photographed for an hour and then I suggested we did another hour a few weeks later in April. As luck would have it the bluebells were out the week out Part 2 was booked in so the family have ended up with a great selection of very different images. Mum asked that I design as premium coffee book for them to hold all of their images to show them easily to the rest of their family. I really enjoyed this shoot and am really excited to be photographing Mums sisters family and Mums Mum (Granny with all the kids) over the coming months. A real family affair! After the shoot Mum kindly left me some feedback. " Nina was very engaging with the children which made it easy. My daughter who is normally shy seemed in her element with ninas coaching which was lovely to watch! Her calm manner and patience made it easy to manage when the youngest was not into it! Her ability to go with the flow yet still take great shots is amazing! My husband even enjoyed it! I think that it is fast paced and it is made fun just made the whole process enjoyable. I would certainly consider booking again and I would 100% recommend her"